Benjamin Franklin was born in Boston on January 17, 1706. He was the tenth son of soap maker, Josiah Franklin. Benjamin's mother was Abiah Folger, the second wife of Josiah. In all, Josiah would father 17 children. Source: Twin Cities Public Television Inc.
Online edition of Benjamin Franklin's autobiography. Benjamin Franklin was born at Boston, on the 17th of January, 1706. His ancestors were from the county of Northampton, in England, where they had for many generations possessed a small freehold estate, near the village of Eaton. During the persecutions in the reign of Charles II., against the puritans, the father of Benjamin, who was of that persuasion, emigrated to America, and settling in Boston, had recourse for a livelihood to the business of a chandler and soap boiler. His mother's name was Folger. She was a native of Boston, and belonged to a respectable family. 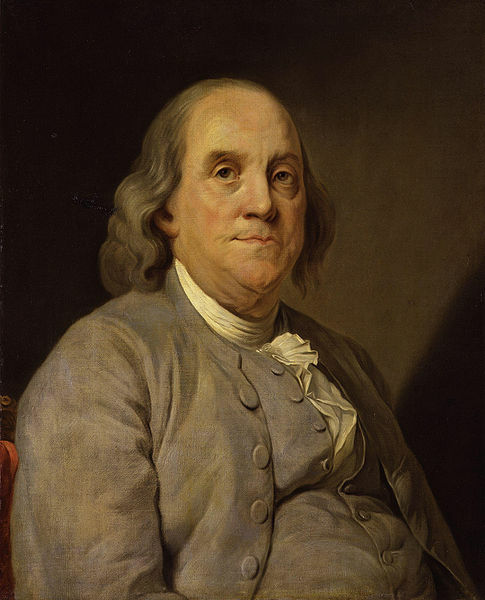 Benjamin Franklin, one of the Founding Fathers of the United States of America, was also an author, printer, satirist apart from being a leading politician and diplomat. He was a scientist and inventor known for his discoveries in electricity. Take a look at some of the interesting facts of his life. FRANKLIN, Benjamin, statesman and philosopher, born in Boston, Massachusetts, 17 January 1706;(1. in Philadelphia, Pennsylvania, 17 April 1790. (See representation of birthplace on page 531.) His family had lived for at least three centuries in the 15arish of Ecton, Northamptonshire, England, on a freehold of about thirty acres. For several generations the head of the family seems to have been the village blacksmith, the eldest son being always bred to that business. Benjamin's grandfather, Thomas, born in 1598, removed late in life to Banbury, in Oxfordshire, while his eldest son, Thomas, remained on the estate at Ecton. This Thomas received a good education, and became a scrivener.